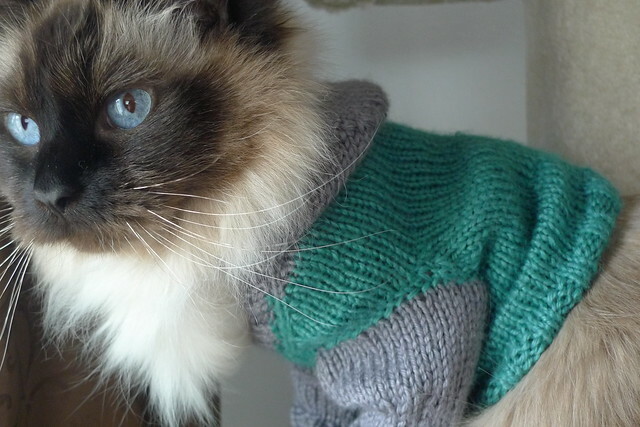 This sweater was knit for Winslow using Kristin Roach's (of Crafty Leftovers) Cat Hoodie Pattern. 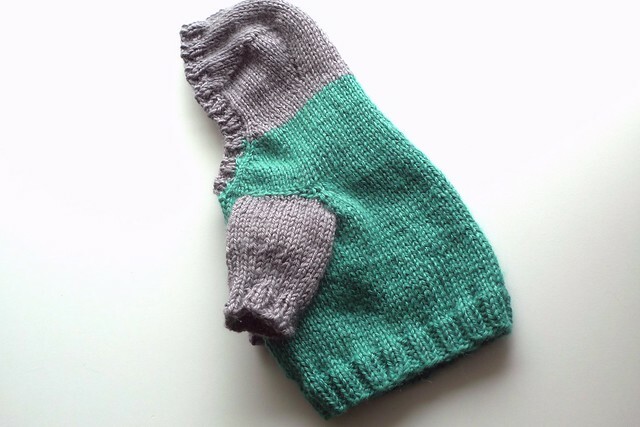 I ended up following the pattern, but used smaller needles so the hoodie would fit Winslow. (He is a fairly small cat; his fur makes him look bigger than he really is.) 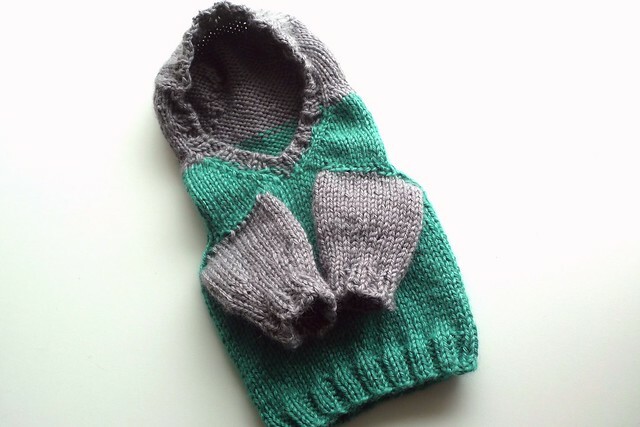 The few critical comments about this project are 1) I did bind off the hood a little bit too tight, which is okay, and 2) the leg holes are a bit too large, which Winsie doesn't like because he slips his legs back in and impairs his jumping. 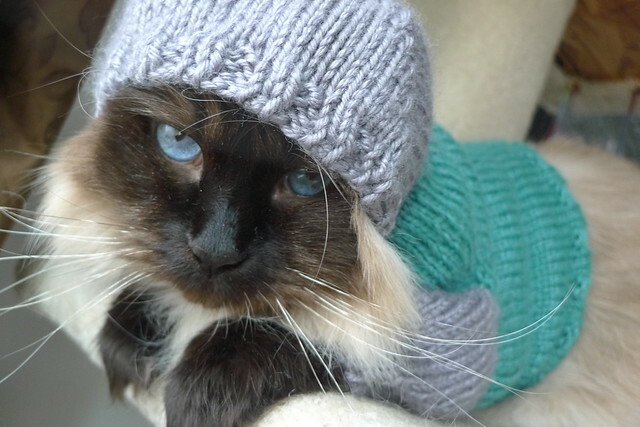 All in all it is a nice sweater and will help keep Winslow warm if I decide to take him on a bike ride one of these brisk autumn days.